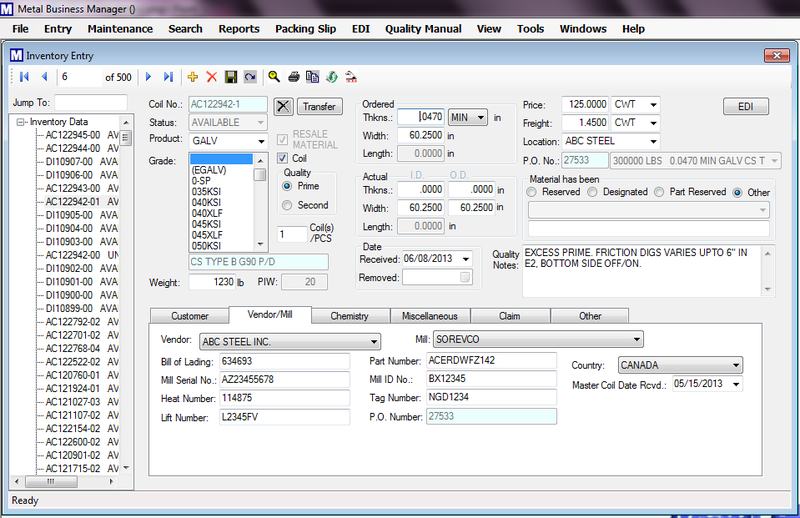 Metal business Manager leading ERP software exclusively developed for the steel and metal service industry which can help your company increase sale, profit, productivity, improve customer service and grow competitively. 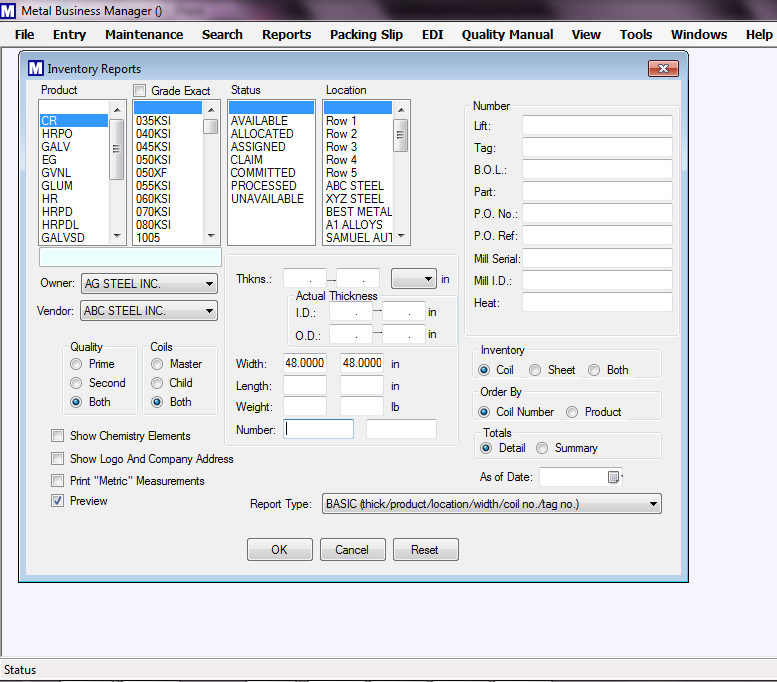 MBM is a comprehensive system, with its intelligent module it will handle all of your software needs. 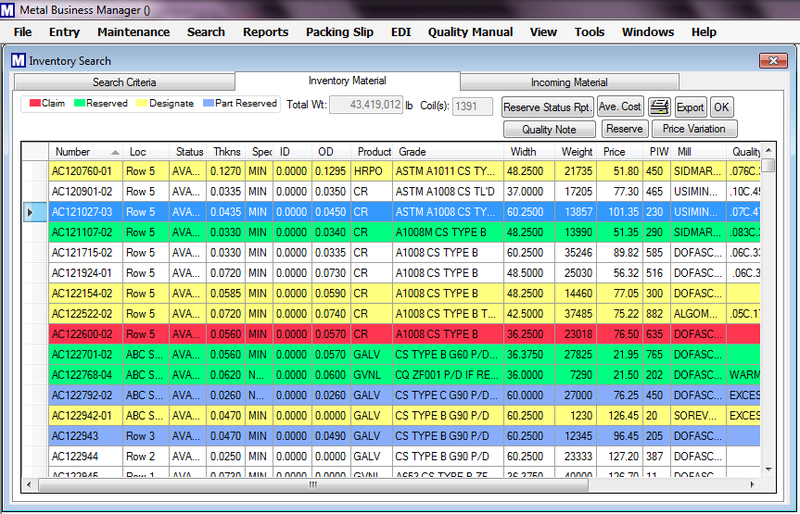 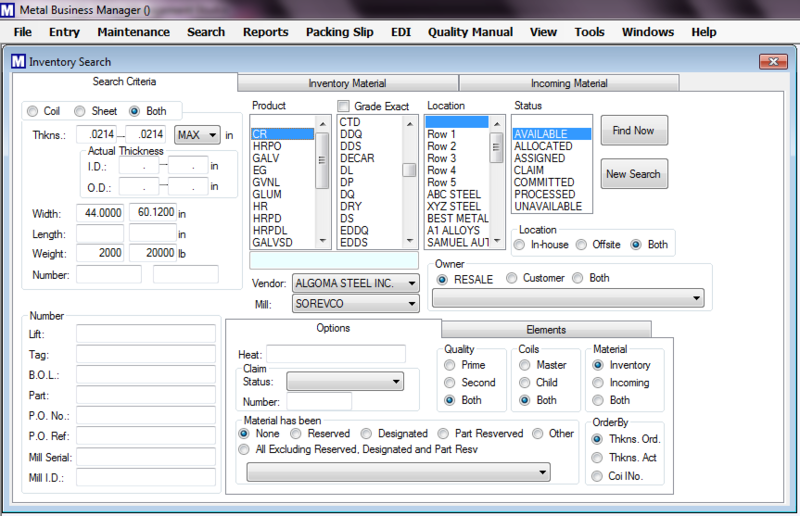 Manage inventory turns with high and low inventory levels. 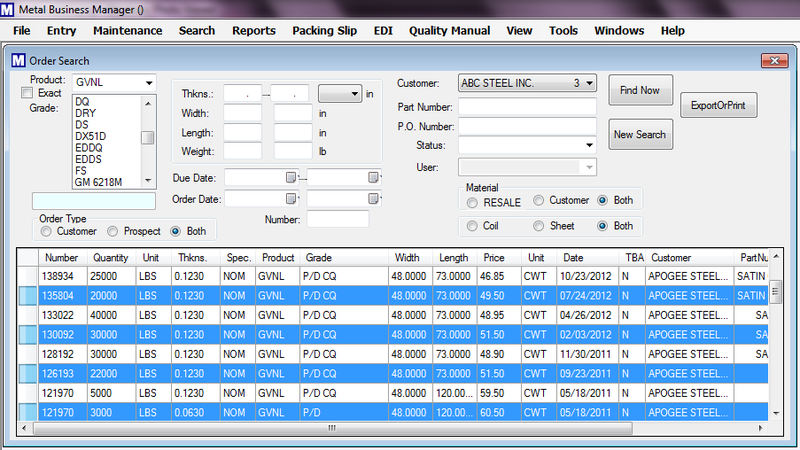 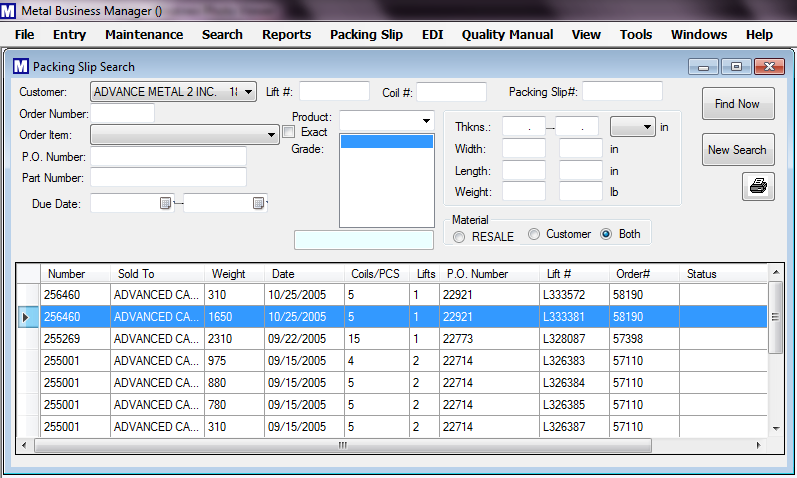 Flexible Inventory Reports; Priced Inventory, Material Received, Material Used "as of date"
Create bar-coded Shipping Tags directly from Orders. 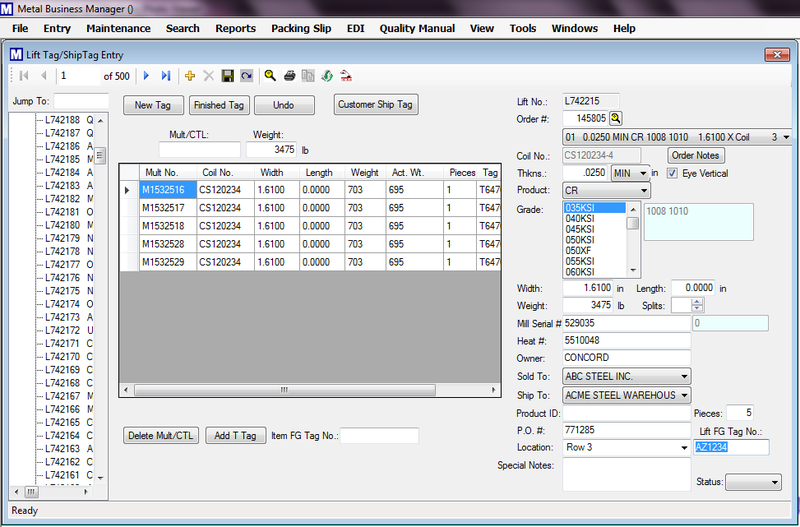 Search Shipping tag with power full search engine. 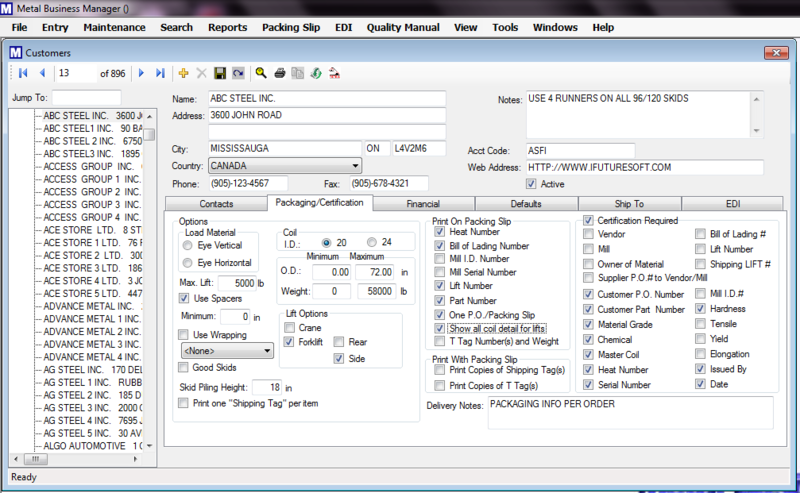 © 2016 - Futuresoft International Inc.